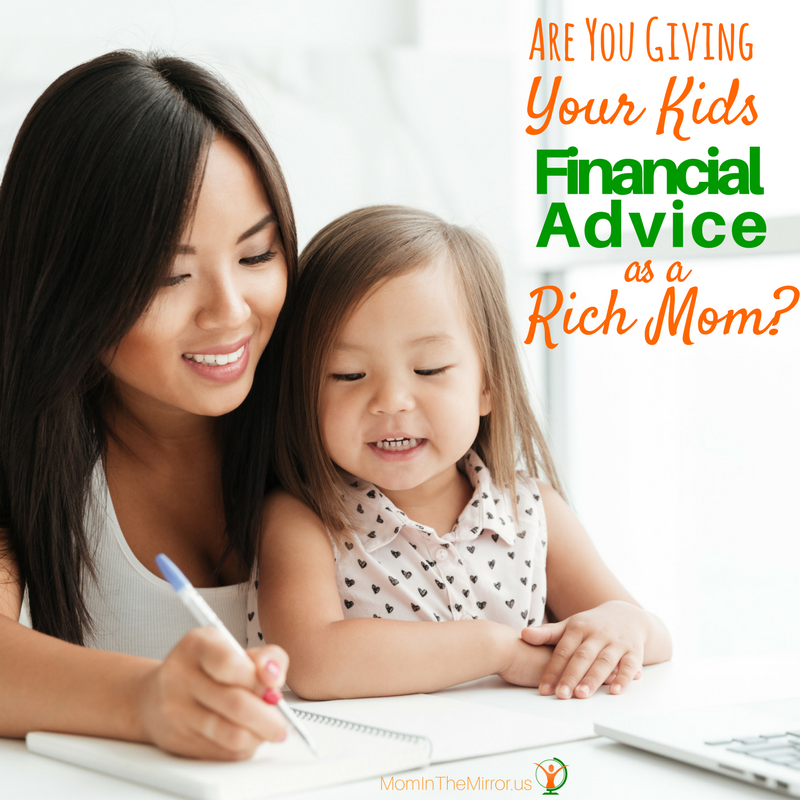 Are You Giving Your Kids Financial Advice As A Rich Mom? “We can´t afford it”, “This is not the kind of place we can visit”, “Maybe next time”…these are just a few of many of common phrases I used to hear frequently from my parents in my childhood when money was the topic on the table. This kind of limiting and poorly oriented advice prevent us, and especially kids, of a good relationship with money and wealth while giving kids financial advice as a rich mom will program children to a financially wiser future. Despite growing up in poverty, I´ve always strived to give my kids financial advice as a rich mom, yet I have found myself repeating some of the financially limiting phrases I got at home, and when I´ve realized what I´ve done (maybe a few minutes later), this mistake has become the perfect excuse to teach them a finance lesson. So I´ve called them back and had the talk. I also have listened to those phrases as they were told by close friends and relatives to their children when trying to deal with a tough decision regarding money. Maybe you´re wondering about the last time you listened to similar financially limiting phrases from someone you love and trust. Maybe, you´re trying to figure about the last time you gave your children this kind of advice. I can relate to you, motherhood can be overwhelming and sometimes we are not 100% aware of our acts or what we say. Maybe you haven´t listened to or given to your children this kind of advice, in this case you probably were raised with a rich mom´s financial advice mindset, the kind of advice that may guide us to achieve and enjoy wealth. 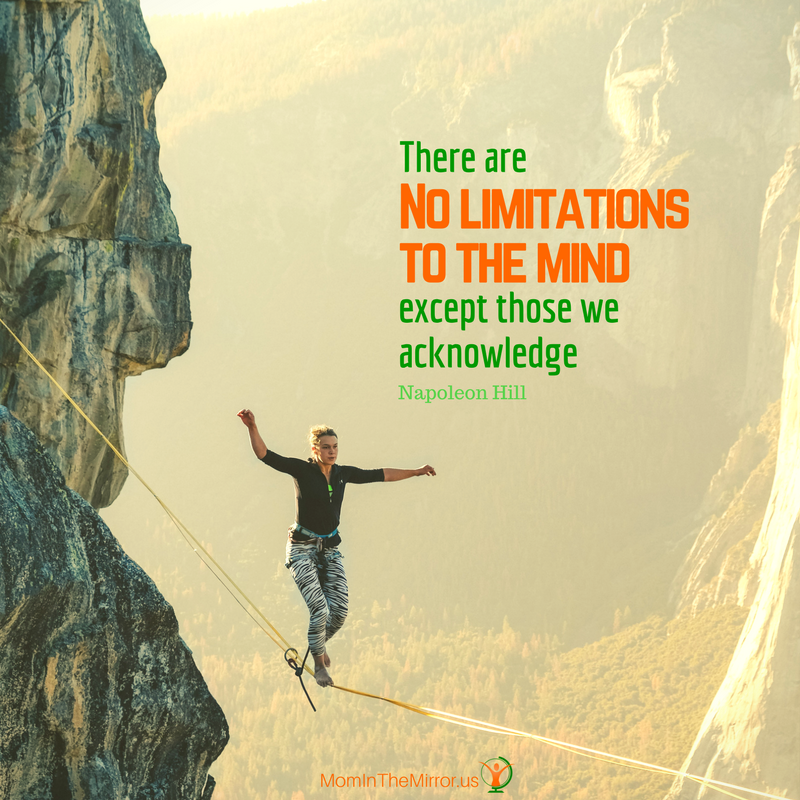 As Napoleon Hill used to say: “There are no limitations to the mind except those we acknowledge. Both poverty and riches are the offspring of thought”. One of our duties as moms is to teach our kids to help them build their knowledge. One of these areas is finance. Every single day we deal with money decisions that tend to require from us financial advice, even if we are conscious or if we are not. Yes! You´re a financial advisor to your kids, but don´t let this title scare you. Let´s explore its meaning. According to Cambridge dictionary, financial means “everything relating to or involving money”, and advisor is “an expert whose job is to give advice to another person or to a group of people”. That being said, it is crystal clear to me that we are the most influential financial advisor to our kids. And one with a great power because as moms our power relies on their trust. So any word that we say to our kids can have a tremendous impact on their lives. Maybe, by using the words “we can´t afford it”, my parents didn´t intend to give me financial advice. Maybe they just tried to explain that we had other priorities at that moment and we needed to make a plan, but for my little daughter´s mind those words meant “this is out of our reach, we cannot dream about it, this is exclusive for rich people and we are poor, you have to settle up with other less expensive and probably undesirable items”. I could have settled on this financially poor mindset, but those words encouraged me to be different. I decided I needed to change my future in order to be self-sufficient. I wasn´t sure how I´ll be going to achieve that wish but I was committed to it. The first time I read the book Padre Rico Padre Pobre, I was 17 years old. It was a new wiser finance mindset discovery for me. The Poor Dad, Rich Dad mindset is an approach coined by Robert Kiyosaki, which portrait the different styles and beliefs parents may have when teaching their kids about finances. He had two dads, his biological father, whom he refers to as his Poor Dad, and his best friend’s father whom he refers to as his Rich Dad. According to Kiyosaki, Rich Dads teach their children to make their money work for them and to be money smart, while Poor Dads teach their kids to work for money, to go college and have a good career as the only way to secure their future. I could relate to its simple wisdom and when I first read that his Poor Dad used to say “I can’t afford it”, I thought it was my own story. I love this lesson because it embraces the opposite of what I was taught as a child. Every time I heard “we can´t afford it” was like a big door closed abruptly in front of my face. I remember thinking to myself, “I don´t have the money to get this”, “I will never visit that place”, thoughts that kept me away from thinking about wealth because I was trapped in a poor mindset. So, this is what I´ve done with my kids. I´ve taught them that if we have a plan and act constantly according to it, in time we can afford anything. So, when they ask me about something they want that is out of our current budget I ask “how are you going to afford it? Elaborate a plan and we could discuss it later”. Last year, during the final day of class my children were going to have a party at their school and they were going to sell different dishes to savor. They ran to me very excited with the breaking news and with a charm big smile on their faces. “Would you make a list of all the delicious plates you´ll like to taste?” I asked, after rejoicing with them over the news. They sat down right away and started doing the assignment. When they had finished, I encouraged them to summarize the cost of all the plates they would like to have. “Great”, I say while I see the results and make the challenge: “You can have all of that you want if you really want it, all you need to do is to work for the half of the money you want to spend at school and I will double the amount you earn, that means if you earn $5.00 I´ll give you another $5.00 and if you earn $50.00 you will end up with $100.00, how´s that?” They were a little afraid at the beginning but later they loved the idea. My son made some Origamis and tried to sell them among his friends with not very good results, so he gave them to my youngest whom managed to sell them all. My other daughter looked for earrings and other accessories she wasn´t using anymore and she sold them. At the end of the week, they came with their results. My daughters earned more than what they needed and I cannot tell you with words how excited they were that day. But my son was sad because his earnings were not even close to his goal. I kept my promise and gave them according to it. It was a precious lesson to learn and -let me tell you- beautiful things have happened and they have loved the experience. I was very attached to the idea of finishing high school, going to college, having a career, getting married and living happily ever after, which I learned from my parents. Which I did just to realize that path is not a secure way to achieve wealth. I never felt comfortable with the fixed working hours or allowing someone else to decide how much money I will get in a month. I enjoyed every job experience I had, yet I refused to live like that all my life so I started to explore business ownership. I worked and saved money to later start my entrepreneurship journey. This is the advice I give my children: you are the only one who knows how much money you deserve, you cannot allow anyone to decide how much your value is, so no matter where you work, you need to focus on doing what it takes until you mind your own business. I’ve been working since I was 14 because of my commitment to be self-sufficient. On this journey, I have had many different jobs that have taught me valuable lessons. I confess I didn´t think of these jobs as opportunities to learn, but something was clear in my mind: I wasn´t working for the money itself, I was working for my future, saving money to start my own business, so each job represented another step in the stairway to my entrepreneurship. As a mom, I role-play with my children, letting them know the difference between an owner and an employee. Lucia, who is my youngest, loves to play with dolls. So I pretend to be a bakery, beauty shop or dealer owner while we play. In our dialogues, I use phrases that encourage her to play owner’s roles because of its advantages. A rich mommy advice is important to help our children in the learning process for financial literacy and having a good relationship with money. It is good not only to achieve financial self-sufficiency and wealth, but to help decrease the probability of being financially abused as an adult, especially for our daughters. I´ll keep the rich mom financial advice approach since it has made my kids financially wiser so far. At their young age, they have tried selling chewing gum, origami, wristbands, candies, and many others, just because they were challenged to invent money. These simple, yet impactful strategies have helped me to develop a good relationship between my kids and money. Which one of them resonates with you for giving your kids financial advice as a rich mom? This entry was posted in Family by YeimiSantana. Bookmark the permalink. I wasn’t taught about money, either. Although my grandmother was an entrepreneur and I saw the advantages of doing your own thing at an early age. However, I became an adult with poor money habits and I have been forced to learn the hard way. I like the tips you shared here and I plan to share them with my children. I want them to grow to have sound money habits and beliefs that will serve them for life. Thanks for sharing!